Praised for his musicality and lovely, unique sound, tenor Stephen Carroll is currently an emerging artist with Virginia Opera, where he will sing First Philistine in Samson et Dalila, Harry in La fanciulladel West, Snout in A Midsummer Night’s Dream, and Normanno in Lucia di Lammermoor. He will also cover Lysander in Midsummer and give a matinee performance of Edgardo in Lucia in the spring. An avid interpreter of contemporary music, Stephen has workshopped roles for the world premieres of Jake Heggie’s Great Scott and Stella Sung’s The Book Collector. 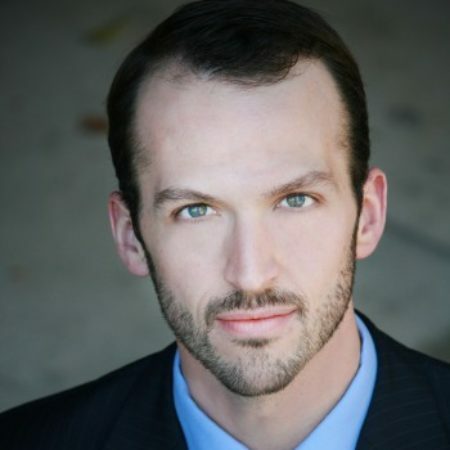 In April, Stephen will workshop the role of Theodore in John de los Santos and Clint Borzoni’s The Copper Queen with Arizona Opera at Opera America. Stephen covered Richard Croft as the tenor soloist in the premiere of Jake Heggie’s Ahab Symphony. In 2015 and 2017, he participated in Stephanie Blythe and Alan Smith’s Fall Island Vocal Arts Seminar, where he worked with and performed the music of Ricky Ian Gordon and also performed works by Tom Cipullo, Libby Larsen, Jeffrey Wood, Ben Moore, and Jake Heggie. Stephen gave a guest performance on a recital of American music with Ms. Blythe at Merkin Hall in January. Recent operatic roles include Dr.Blind in Die Fledermaus, the cover of Prince Gvidon in The Golden Cockerel, and the cover of Diener 1 in Capriccio with Santa Fe Opera, Cassio in Otellowith Dayton Opera, Siegfried in Act II of Siegfried with Queen City Opera, Malcolm in Macbeth, First Armored Man in The Magic Flute, and Jazz Trio in Trouble in Tahiti with The Glimmerglass Festival, and Steve in A Streetcar Named Desire with Kentucky Opera. Past apprenticeships include The Santa Fe Opera, The Glimmerglass Festival, Opera North, where he sang Lt. Joseph Cable in South Pacific, Sarasota Opera, and Central City Opera, where he covered Quint and the Prologue in The Turn of the Screw. Recent concert performances include Nicolas in Britten’s St. Nicolas cantata with the Williamsport Chamber Choir, the tenor soloist in Handel’s Messiah with the Rochester Chamber Orchestra and the Dayton Philharmonic, the tenor soloist in Haydn’s Lord Nelson Mass with the Asheville Symphony Orchestra, and Sultan Achmet and the Alchemist in Candide with the Boston Symphony Orchestra while a Vocal Fellow with the Tanglewood Music Center. Concert highlights from Stephen’s education include Stravinsky’s Les nocesand Mahler’s Das Lied von der Erde. Stephen holds an artist diploma from the College-Conservatory of Music in Cincinnati, a master’s degree from the University of North Texas, and a bachelor’s degree from the University of Delaware.